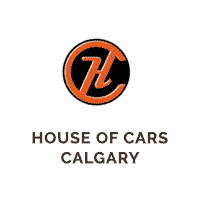 Regardless of whether you’re a keen truck enthusiast who has owned many in the past or whether you’re completely new to the world of owning and driving trucks, you can rest assured that the trucks for sale Alberta residents can find here at House of Cars are always guaranteed to be top-quality sourced. There are many reasons for wanting to purchase a new truck: for many people – particularly tradespeople – trucks are an essential asset for their businesses. For other people, they help with pursuing private hobbies like exploring the mountains and the wilderness. And for other people, they’re simply practical, powerful vehicles which are enjoyable to drive, and which can be used on an everyday basis. But whatever your reasons for wanting to purchase one of the trucks for sale Alberta dealers have to offer, there’s likely to be one thing on your mind that puts you off: the cost. But when you choose to invest in a used truck rather than a brand new one which has come straight out of the factory, you can save yourself enormous amounts of money. And the good news is that many used trucks are of equally high quality as new ones – the important thing is knowing where to shop and ensuring that you choose one of the reputable car dealers specializing in used trucks for sale in Alberta. Here at House of Cars, we pride ourselves on our competitive, affordable prices. But we also pride ourselves on doing things a little bit differently than many of the other car dealers customers have to choose from – and we understand that low prices on quality vehicles isn’t enough for us to be able to say that we’re doing absolutely everything we can to help our customers get access to the vehicles they need. That’s why one of our most important principles is to do everything within our power to help our customers access the very best financing options for them, so everyone – regardless of their background or credit-rating – can purchase the vehicles they need. A member of our Financing Department will work closely with each and every customer to understand their situation, before helping to find a personalized financing solution that is suitable for them and relevant to their situation. This way, we can guarantee every customer the very best chance of getting access to the funding they need to make their purchase. Alberta residents who are looking to invest in a truck have come to the right place. At House of Cars, our highly trained team works tirelessly to ensure that every vehicle we sell matches the same high standards of functionality, safety and aesthetics which has earned us our enviable reputation in the industry. And with low prices and a team of attentive experts committed to helping you make the ideal purchase for you, your business and/or your family, you can always be sure that we’re the number one place to go for buying used trucks in Alberta. Visit our premises today or get in touch to find out more information.